It was a little too "pointy-headed alien of the week" for my liking. I've never liked episodes of Trek where something strange happens on a ship (where weird things happening always turn out to endanger the crew before the end of the episode) and people just shrug it off and carry on about their day until the ship explodes. If I were a ship's captain it would be a standing order that all halucinations, manifestations, and strange eldrich voices speaking from beyond the veil must be reported immediately. Personally, I'd have liked to have had the trip through sector 14 and the slow ramping up of stuff go on over the course of a few episodes, culminating in this one being where we learn it wasn't part of some major plotline. I suspect if you said that to JMS he might kick himself that he didn't think of it at the time. Also since Sheridan is a pretty bright guy, you do have to wonder if there is a scene we didn't see where he asks Kosh if he's responsible. All good points, but definitely the fact that Sheridan doesn't mention anything to Kosh is lacking. I never really thought of that aspect, but watching the show in this Chronological Approved Order REALLY hammers that home because it puts KNIVES right after Sheridan has established a stronger relationship with Kosh. I too have never really enjoyed Science Fiction that is about some strange unseen force. I'm not saying they are bad ideas, but when you watch a lot of SciFi it becomes way too obvious stories like this were done to save money. So with KNIVES JMS does the opposite. It was not as expensive as some episodes in the B5 Universe, but clearly they spent the money on effects for KNIVES. Normally I would think they were doing an episode like this to save some moola on effects and then JMS gives this aspect of the plot quite a few effects, including a Starfury trip to Sector 14. So once again JMS turns the tables on me, which is why I am okay with that aspect of the plot. Or should I say I was okay with it until Karajorma mentioned the "Kosh" factor. The more I think about it, especially in the watch order I am viewing, it really makes no sense that he doesn't go to Kosh. I know one reason might be that JMS didn't want Kosh to have to mention the alien life-force to maintain Kosh's all powerful persona. He couldn't have Sheridan go speak with Kosh and not have Kosh mention that Sheridan had an alien life-force inside him. I know why we didn't get that scene, it would have just been Sheridan asking Kosh and Kosh giving a cryptic answer. I'm just going to pretend that actually happened but since it didn't advance the plot, we didn't see it, and since Sheridan trusted Kosh to not mess with him, he went looking for other answers. Even if Kosh saw the alien in Sheridan (and we don't know he could just because Lorien would have been able to do it), he might have thought it was a good test or lesson for Sheridan. Or maybe Kosh wasn't on the station. I can't remember if we see him in that episode and he was known to leave the station every so often. Kosh not being there might explain a lot of the things I don't like about this kind of episode. Sheridan probably didn't tell anyone else that Kosh was in his dreams when he was kidnapped, so if he tells Ivanova that's why he shot up his quarters he's only going to sound even more unhinged. I think I'm going to have to rewatch the show in the JMS approved order (especially now that I've finally got my mitts on the B5 Encyclopedia I ordered) and see what changes. I actually quite enjoy this kind of deep analysis of a TV show. If you have seen Season One many times then you will definitely notice a difference with the Chronological approved order. Season Two has some noticeable changes in the first ten episodes that make things different and then KNIVES is moved up in the order to this position and I feel like it fits. "Knives" was always out of order on the DVDs, especially since Sheridan sees the Icarus explode (which he later learns didn't happen). Not quite sure how your example points to this being out of order since up to this point Sheridan believes the Icarus exploded? 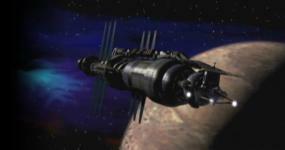 In the original airing order "Knives" aired one episode after "In the Shadow of Z'ha'dum" as opposed to one ep before. So in the original order, Sheridan "saw" Icarus explode one week after learning that it hadn't. That is what I thought you were saying, but I just wanted to be clear-er. In the Approved Chronological it actually gets moved up from Episode 17, one after IN THE SHADOW OF Z'HA'DUM as KoshFan points out, to Episode 14 - just after HUNTER, PREY. For the revised order, are there any changes after Season 2? Not until DAY OF THE DEAD, 5.8, gets moved up to just after A VIEW FROM THE GALLERY, 5.4. I believe that is the only change after Season 2 other than sticking THIRDSPACE in and choosing to delay THE DECONSTRUCTION OF FALLING STARS, 4.22, and/or when you choose to watch SLEEPING IN LIGHT, 5.22. At this point in Season 2 the only remaining change for Season 2 is choosing whether or not to split up THE FALL OF NIGHT, 2.22. According to the Approved Order COMES THE INQUISITOR, 4.21, actually takes place during the events of THE FALL OF NIGHT, 2.22. So I will be trying to make that work.